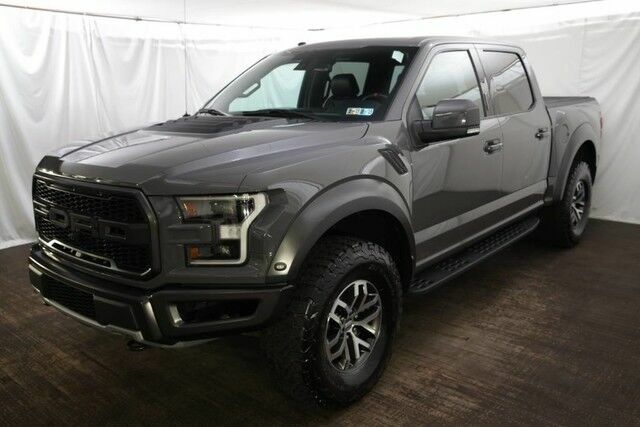 Contact Porsche Pittsburgh today for information on dozens of vehicles like this 2018 Ford F-150 Raptor. This Ford F-150 Raptor is a one-owner vehicle with a clean CarFAX. It is a pick-up vehicle on the surface, but it is anything but a normal pick-up truck. Sporting a 3.5L twin-turbo EcoBoost V6 engine mated to a 10-speed automatic transmission, the Ford F-150 Raptor combines the utility you'd expect from Ford's 150 platform with performance to handle all the tasks you can throw at it. At 450 horsepower and 510 ft/lbs of torque, the Ford F-150 Raptor is up for any task the driver throws at it. Taking the road less traveled has never been more fun than with this 4WD. With improved performance, mileage and acceleration, this 2018 4WD Ford F-150 Raptor is king of the off-road. Based on the superb condition of this vehicle, along with the options and color, this Ford F-150 Raptor is sure to sell fast.